Season the fish with salt, pepper, and the juice of half a lemon. 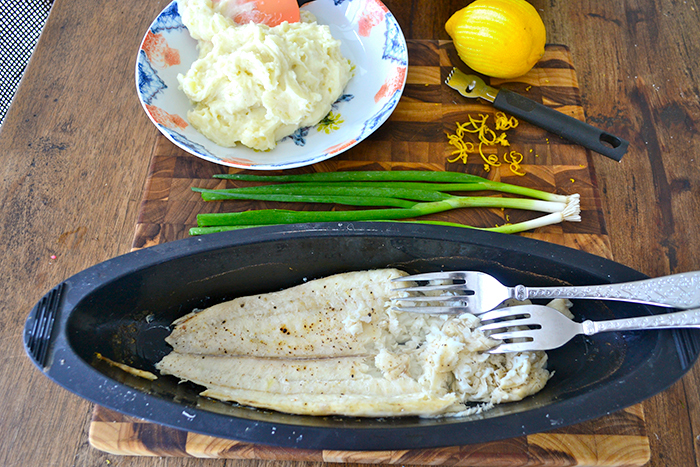 Steam the fish until cooked, about 15 to 20 minutes (I did it in the oven). Boil the potatoes until soft, drain. Mash the potatoes with the sour cream. 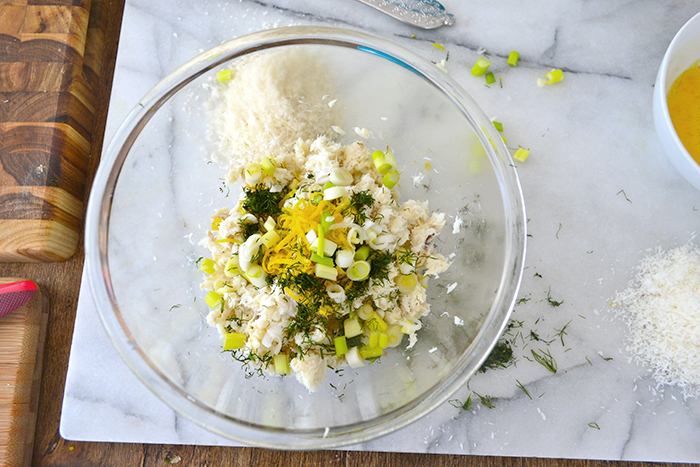 Flake the fish and combine with the mashed potatoes, the eggs, the lemon zest, the chopped dill, the chopped scallions, and the shredded coconut. Season with salt and pepper. 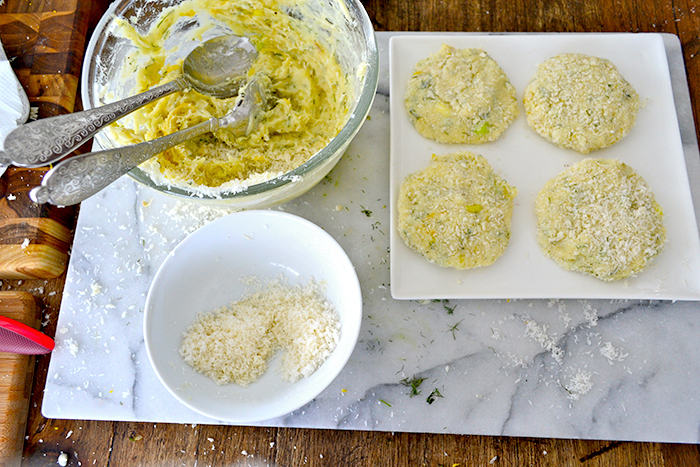 Make patties and coat each cake with the panko, pressing to adhere. Cook the fish cakes in a large frying pan over medium heat with a little olive oil on each side until golden. 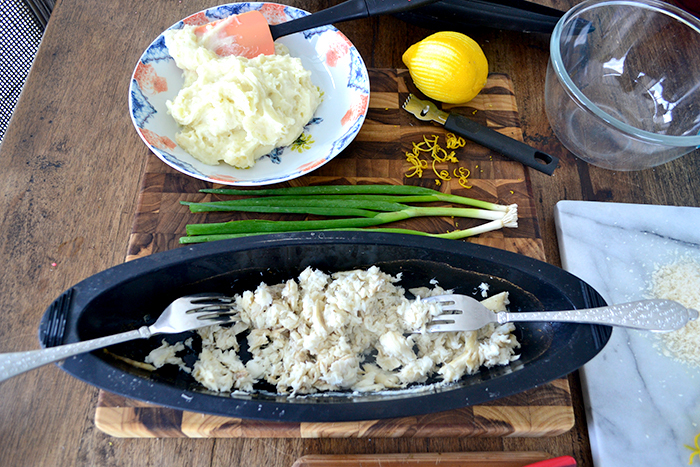 I used the catch of the day, but you can make them with tuna, salmon, shrimp. 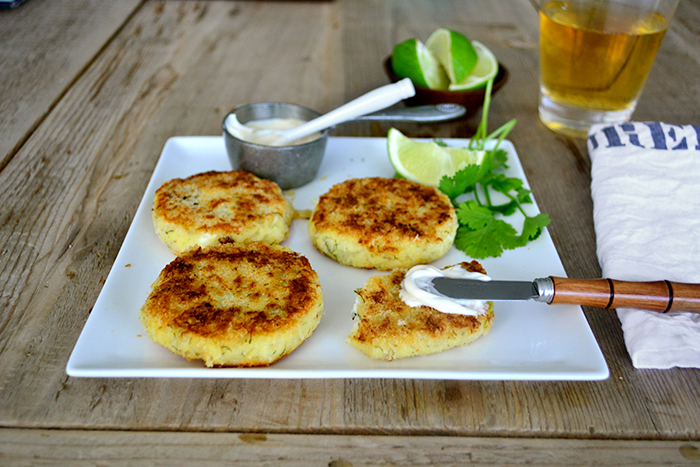 Coconut fish cakes are easy to make and nice to enjoy on a weekday with a green salad, sitting al fresco with a cold beer or a white wine. 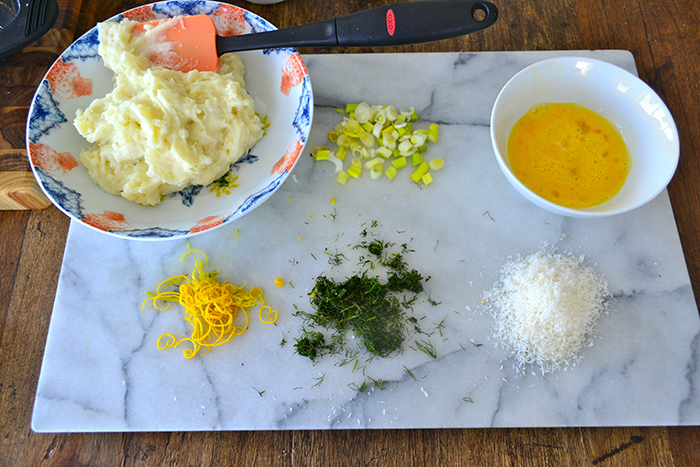 Queen of Mayos – A Simple Way to Flavor Mayo! Querida Simy, yo lo compro en el Whole Food, también lo venden Publix. Saludos, un abrazo grande . Lola me gusta esta receta. Donde compro el Panko. Te felicito por el trabajo que estas haciendo!!!!! 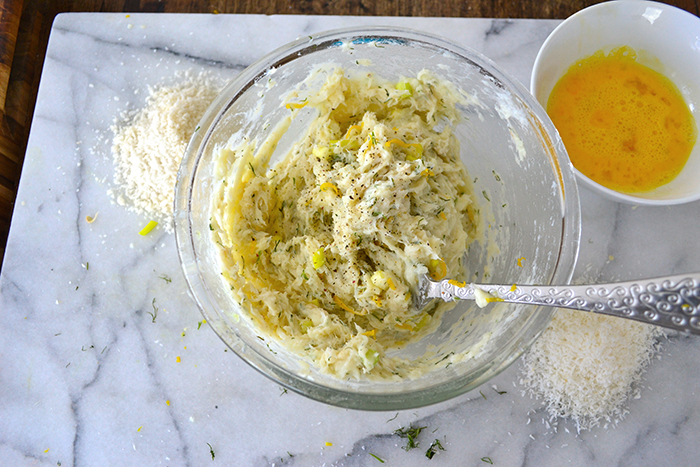 The lemon zest and coconut sound great in these. I love fish cakes! Yuuuum! this makes me want to be sitting on a beach on vacation somewhere enjoying every bite of these! What a great combination and idea. Those fish cakes must taste amazing! Finalmente me inspiré e hice unos fish cakes el fin de semana. Delicious! 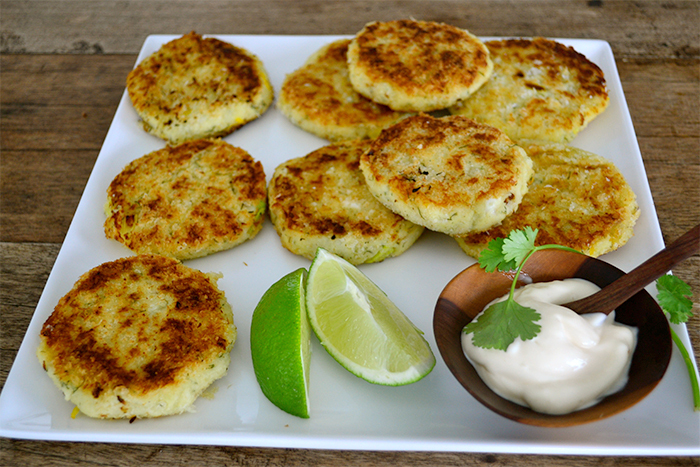 I love fish cakes but you added coconut, so it must be even more yummy! Thanks for sharing your mouthwatering pics and delicious recipe! Lola, te ha quedado preciosa la página. Todo el trabajo ha valido la pena y también la ausencia. No me pierdo estos fish-cakes.